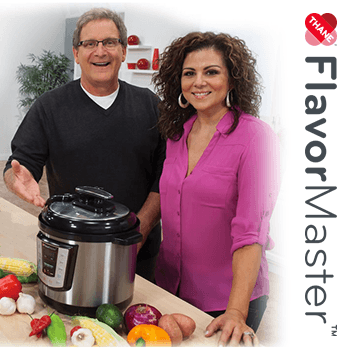 The Official Website for FlavorMaster! All while cooking your meals faster! 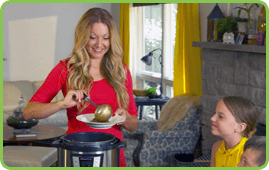 Make healthy delicious food fast & without sacrificing flavour! 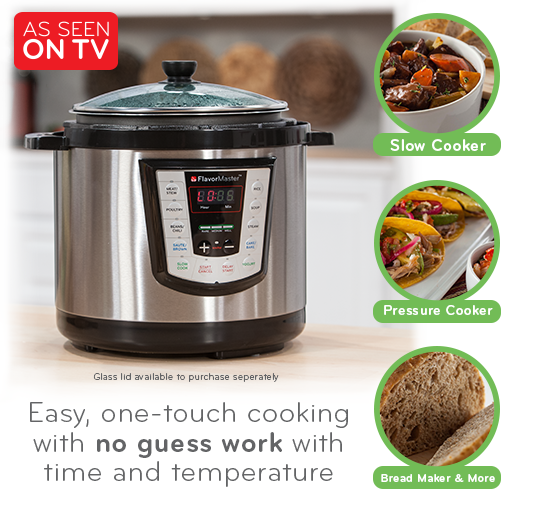 Everyday cooking is now fast, easy and delicious! 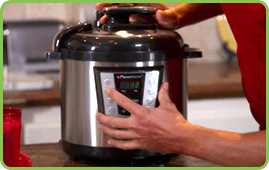 FlavorMaster™ is the incredible 10-in-1, compact countertop multi cooker that roasts, sears, bakes, slow-cooks, steams, stews, sautés, warms, re-heats & so much more. 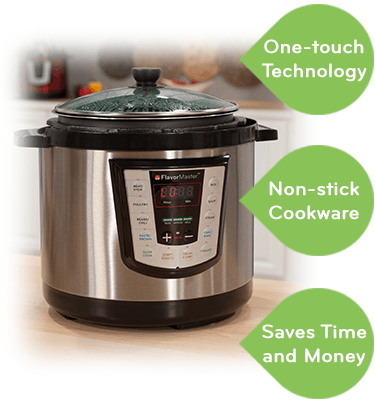 You can set it to slow cook all day while you’re away, or pressure cook delicious meals in just minutes when you’re home. 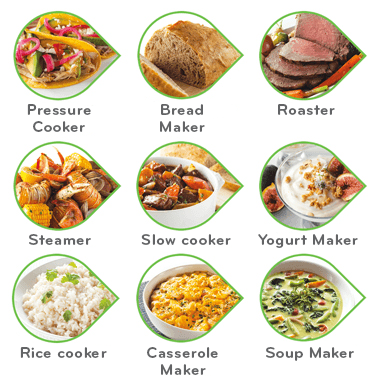 Our 10 easy-to-use settings make cooking faster, tastier and healthier than ever! Just select from the 10 modes for perfect results every single time. No one wants to spend all their time in the kitchen - FlavorMaster™ takes care of it, leaving you more time to spend with your family. 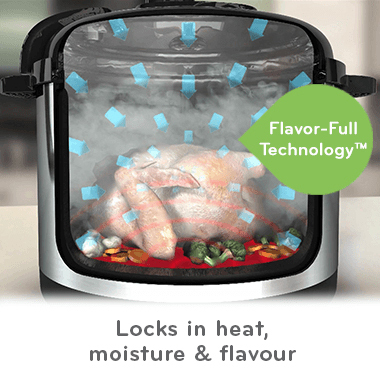 As the base heats and cooks food from below, the inner pot locks in superheated steam that surrounds, encapsulates, and penetrates the food, concentrating heat, flavour and moisture on all sides. And because the pressurized steam is locked in the inner pot, you get moist, tender, succulent meals that are full of the natural flavour of the food without adding extra fats or oils. When the cooking is done, the unit automatically goes into warming mode, so it's virtually impossible to overcook and ruin your food. Takes Your Kitchen to the Next Level! "All of my friends love when I cook ribs, and I tell them it’s not me, it’s the FlavorMaster™!" "Dishes that used to take several pieces of equipment, now I’m able to do with just one piece of equipment, the FlavorMaster™!" "It’s amazing, and I’m in love with my FlavorMaster™!" “Thane” related logos and variations are trademarks or registered trademarks, in the U.S. and/or other countries, of Thane IP and/or its subsidiaries.